Vancouver - Lions Gate Bridge / North Shore - 24P - ProRes 4:2:2 10 Bit - UHD 4K Vehicle traffic crossing the Lions Gate Bridge between Stanley Park and the North Shore. 4k00:14Vancouver - Lions Gate Bridge / North Shore - 30P - ProRes 4:2:2 10 Bit - UHD 4K Vehicle traffic crossing the Lions Gate Bridge between Stanley Park and the North Shore. hd00:13Tsing Ma Bridge at Summer - Tsing Ma Bridge is a bridge in Hong Kong. It is the world's seventh-longest span suspension bridge. 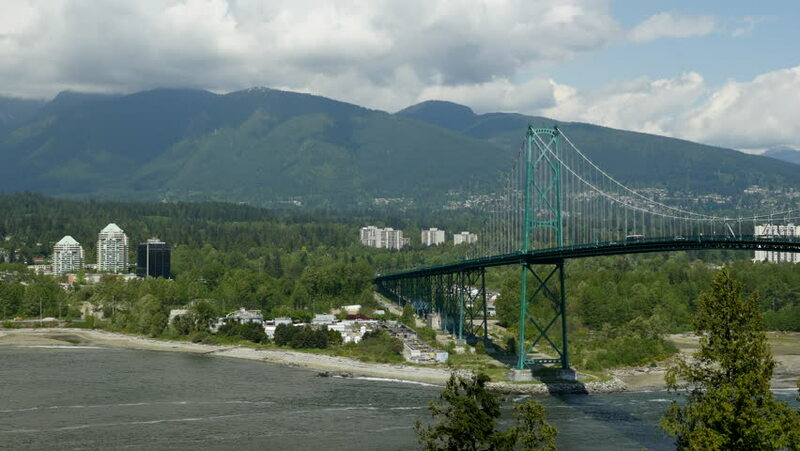 hd00:29Lions Gate Rush Hour, Vancouver, BC. Rush hour traffic over the Lions Gate Bridge on a rainy, stormy morning.